Barking Mad’s Head Office is based in Kirkby Lonsdale, Cumbria, just down the road from where it all began with Lee and Bronte back in 2000 (read ‘Our Story’). This is the home of our administrative, marketing, training and support operations and everything else that is needed to assist our growing UK network of dog home boarding businesses. Barking Mad bounded into life in the north-west of England in 2000 and has grown with franchised branches year on year. 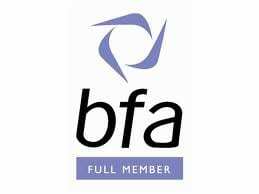 We have been proud full members of the British Franchise Association (BFA) since 2002. We are now the UK’s favourite and largest network of dog home boarding holiday specialists providing the very best in dog sitting care. Barking Mad was acquired in 2016 by international multi-brand franchisor Franchise Brands. Franchise Brands is also the parent company of established brands ChipsAway, Metro Rod and Ovenclean, which means it has a collective trading history of over 50 years altogether. All Franchise Brand’s child companies are also full members of the BFA. Franchise Brands has notable strengths in areas such as marketing, franchise recruitment and franchise support, and the group’s strategy is to grow organically through expanding their existing brands and through further acquisitions. Love dogs and enjoy what we do! We are passionate about dogs and excellent customer service as well as being excited about growing our successful franchise network. Barking Mad’s systems and operations are ISO9001 accredited ensuring compliance to our excellent Quality Management System (QMS). 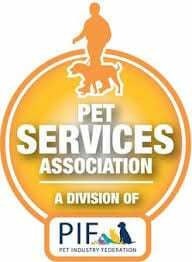 The Pet Industry Federation provides a quality assurance of businesses in the pet care sector: as members we agree to adhere to their charters, representing best practice for dog home boarding in the pet trade in the Pet Services association.